Is a Trade and Market Crisis Looming? There is a crisis in the Cotton Belt. There is a crisis in the Heartland. Agriculture is leading the charge to disaster. Every morning begins with the chimes of two thoughts: I am wrong on trade and, consequently, I am wrong on the market. 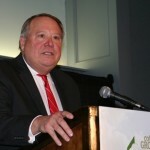 We had considerable success earlier in the year and fixed the bulk of the crop between 80 and 94 cents, basis December. Yet, I also felt that the December futures would rally and challenge 80 cents and above. Too, I have been supportive of the tariff, feeling that cotton would be a big winner. All is not lost on that front – not yet, anyway. Cotton still can be a big winner, but not without the government accepting reality and repairing its approach to trade. Otherwise, the support at 74 cents, impressive as it is, could also fail. The final leg down of the current Elliot Wave projects December futures to the 74-75 cent range. However, after that, the 70 cent peg sticks out. The U.S. sat through two terms each of the past three presidents and failed to enforce trade agreements. During that time, the U.S. allowed much of its agricultural processing and manufacturing to leave the country. In the case of cotton, essentially the entire processing/manufacturing sector – lock, stock and barrel – left the U.S in exchange for the specific agreement that world markets would open their doors to U.S. manufactured goods. It never happened, and our trade representatives simply played their fiddles. There was no attempt to seek the enforcement of trade agreements. In fact, some countries that imported raw U.S. cotton for processing were hit by the U.S. with import quotas, while other countries that used non-U.S. cotton could export finished products freely to the U.S. That’s right – those administrations and the U.S. trade office charged a duty to import goods made from U.S. cotton and allowed goods made from non-U.S. cotton in duty free. Swamp logic. Recently, we imposed tariffs on Chinese goods, China imposed tariffs on cotton, and the U.S. failed to impose tariffs on Chinese imported apparel and textile goods. The Chinese response: we will continue to export apparel and textile goods to the U.S., but now we will use non-U.S. cotton and still ship you our apparel made from cotton from Brazil, Australia, Africa and other countries. Who needs U.S. cotton, so says China? The current U.S. policy has completely failed. Never was the situation set up to be friendlier for the U.S. But the failure of the U.S.to tariff textile and apparel imports coming in from China simply sets up the U.S. program for total failure. The U.S. had the opportunity to become the world’s primary provider of cotton and to even increase its planted acreage and production of cotton. Yet, that is in very much danger now. Fast forward to today and the U.S. cotton industry’s agreement to support Washington’s tariff measures. 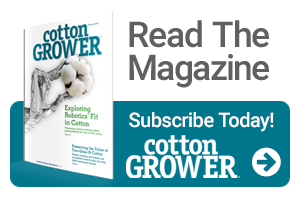 Cotton growers and other agricultural producers were assured they would be made whole – partially in the short run and totally over time as markets expanded. Well, it looked good on paper. The crisis is such that, given the current guidelines, growers and producers will not be made whole and in fact will be cut in half or even quartered. Agricultural producers that grow soybeans were to have a program as well. But then in government-like logic, the determination was made that this payment would be subject to the payment limitation rule. Basically, that means that most growers will get very little support, if any. Period. Thus, in what looked like sincerity and a commitment to farmers turns out to be subsistence farming, if that much. Where in the world did all this wisdom (or lack of) come from? It is all in the weekly export report and those for past month. That report tells us net sales of upland cotton for the week totaled a measly 21,800 RB. The prior week was only 70,300 RB. That is, export sales have all but dried up. In fairness to the U.S. trade office, cotton sales will pick up. The world needs U.S. cotton, and exports will eventually climb to 13-15 million bales – but when? World supply demand is tight, but the world textile industry is sitting back and waiting for the U.S. tariff situation to work itself out, and without any belief that the U.S. farmer will not suffer further. More importantly, cotton growers may be facing a 2020-21 marketing year that basically needs only 9-10 million bales of U.S. cotton. That is a 50% reduction in U.S. production just when the market had set up the U.S. to expand production and world trade. Crisis is not powerful enough. The U.S. cotton industry is facing a disaster. More than a few soybean growers, cotton/soybean growers and cotton/peanut growers are in the same boat. Ditto rice. Another world supply demand report is approaching. Look for the U.S. crop to be larger, world demand to be slightly lower and world production to be larger. However, sooner or later, the USDA will have to lower the Indian crop. The 74-75 cent level offers the next layer of support. Underneath that is 71 cents.